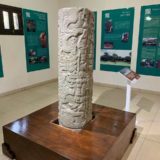 Stelae 11, the Last Complete Stelae from Copan! The first Copan Ruinas Easter bonus is Stelae 11. Stelae are large, tree like stones that are vertical and carved from one stone. These are typical of the Maya Civilization, and Copan Ruinas has some of the most intricate stelae. They are typically next to an adjacent Altar and represent a historic event. Stelae 11 is the most recent in Copan Ruinas, and it represents the death of the sixteenth ruler. Yax Pasaj Chan Yopaat was in effect the last ruler of the Copan Dynasty. The Stelae was in the funerary sanctuary for this ruler and was originally a column. This glyphs on the column where part of a more extensive text. When stelae 11 was found, it was broken. Yax Pax, could trace his lineage to the Maya City of Palenque in Mexico. Thus, the imagery on this stelae seems to deliberately copy the tomb of king Pakal. The second unique Copan Ruinas Easter Bonus is a sculpture archaeologists call Dragon Serpent. Both unique sculptures are in the Center for Anthropological studies in Copan Ruinas. 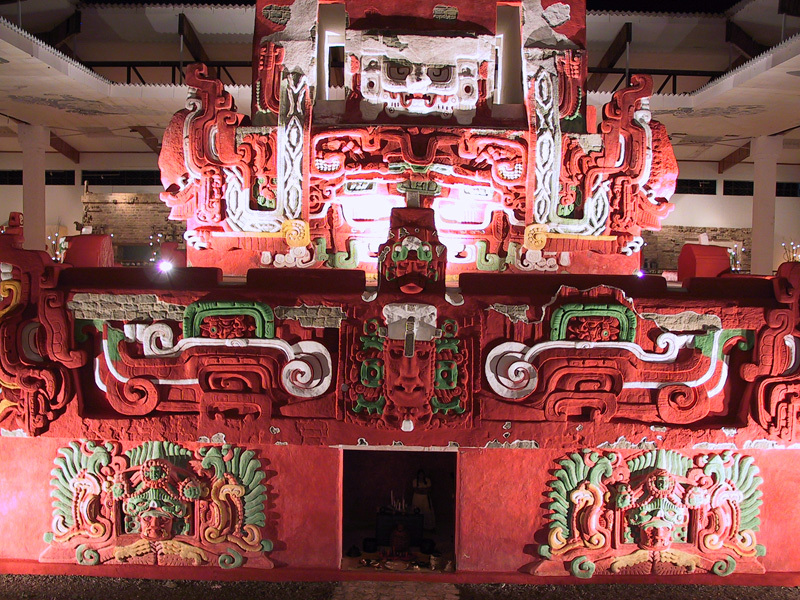 These artistic pieces that form part of the Copan World Heritage Site. They were moved from the Copan Archaeological Park to preserve them from the environment. Most of the stelae and altars that you see in Copan Ruinas are in situ. 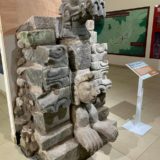 However, some of the more valuable and unique pieces where moved to the Museum of Maya Sculpture in Copan. In their place, you will see replicas that look like the originals. Many other important pieces are in the Center of Anthropological studies in Copan.